The Cocteau Twins were a band that captured my imagination from a very young age. I discovered them in grade school during my first trip to NYC while at a record store that over the years would become a favorite of mine for all of my teenage and early adult years. Rebel Rebel was a small store in the Village that specialized in imports, something I had no idea existed. Previously I had exposure to one music store and it was mostly an electronics store that just happened to stock a few records and they certainly were not fancy imports. Rebel had HUGE sections for bands I had never heard of before and the Cocteau Twins section was filled with some 20 records at the time. Pre-Internet and with no concept of what the music scene in the UK and Europe was about, I browsed their LP selection with awe. There was so much exotic music to pick from but the Cocteau Twins records stood out as being the most mysterious and intriguing of all. Years later I grew to understand the mastery behind the artwork of 4AD but as a tween the CT records looked feminine yet not too girly...perfect for the 8th grade me. The record clerk (who I should add became a great friend and was Gary from Ladybug Transistor) noticed my long pauses at the Cocteau Twins section and asked if I needed some help. I explained that I had never heard the band before but I was curious and the store was kind enough to play them for me. I think it took a mere 30 seconds for me to be hooked. I bought my first album by CT that day and pretty much bought one more every time I visited the store from that point on. 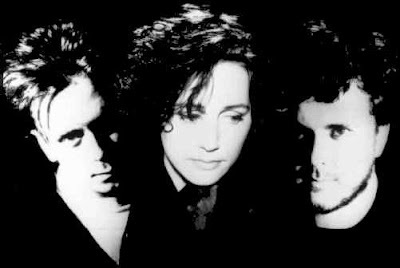 Growing up on top 40 radio and the music of my parents I had never heard anything close to the Cocteau Twins. It was soft yet heavy, there was something that sounded like an acoustic guitar but it had so many effects on it that it sounded like a totally new instrument to me; something haunting that sat somewhere between a nightmare and a wonderful dream. And then the voice of Elizabeth Fraser came soaring in and it was captivating. Emotional, tragic....it was in a language I couldn't understand but yet it spoke to me. With each listen in my bedroom the meanings of the songs were up to my imagination which I think is exactly what makes this band such a personal cult favorite with so many people. Their songs use a nonsensical language, at least on all the early records, and I think the combination of an ethereal angel like voice mixed with message you had complete freedom to make up your own meaning to, allows this band to owned by whoever hears them. They are your band after a few listens. The Cocteau Twins had been tagged by the UK press as the "voice of God" and even without a religious bone in my body, I can understand that comment. I never had a chance to see this band live, heck I don't even recall an opportunity arising ever, so this band has remained shrouded in mystery for pretty much my whole life. Needless to say I took the task of working on a Cause & Effect on this band rather seriously. Like 12 hours plus seriously. If I was finally going to demystify this band once and for all, I was going to do it right. I couldn't begin to imagine what their sound was based upon so it was truly fascinating to unravel their layers and hear their influences in Roy Orbison, Patsy Cline, Crime and the City Solution, and the Ronettes. Tonight from 7PM to 9PM on WRIR (97.3 FM locally or www.wrir.org) not only will you hear their earliest influences but the bands they were sharing the scene with, many of side side projects and off-shoot bands . (including some very rare stuff) And it wouldn't be a proper show without rounding out the set with the newer bands who owe their sound to the Cocteau Twins like M83, Sigur Ros, and Mahogany. I've never spent so much time on one show and hopefully you will be able to hear the care that went into this one. Not that we don't approach every show with care but for me, putting a band under a microscope that had rested on a pedestal for decades in my world was a challenge I wanted to embrace to the best of my ability.